Where to start when icing a 5 Tier Wedding Cake? If you’ve ever visited my tiny flat you will quickly realise that there is very little room to turn around never mind ice, stack and store 5 tiers of fruit cake. Thankfully I have a wonderful friend called Cake Poppins who kindly offered to spend the day with me in her amazing kitchen complete with all of her expertise and wonderful non stick cake decorating equipment. I cannot thank Kate enough for her help and guidance. If you haven’t checked out Kate’s blog I thoroughly recommend it ! Never before have I attempted any sort of technical cake assemblage that requires dowling. I have attempted rather slap dash icing of cakes with layers of marzipan and fondant icing. My results have been passable, but on my wedding cake passable would not suffice. It needed to be perfect. No pressure there then. Before the cakes could even go near any icing a great deal of planning and shopping was required. I packed up a car full of cake and sugar based goods and headed round to Kate’s. The fumes eminating from the cakes made for a very happy journey. To start with you need to purchase drum style cake boards (the ones that are half an inch thick to add extra height to the cakes). Each board needs to be exactly the same size as the cake. I purchased a 4, 6, 8 10, and 12 inch round boards. The 4 inch was pretty difficult to find but you can definitely buy them online. I have absolutely no idea how much marzipan and fondant icing we went through and so engrossed was I in mastering the kneading, rolling and enveloping the cakes in icing I forgot to take any photos along the way. (sorry!) My guess is that about 6 packets of marzipan disappeared in the process, which would be around 6 x 500g = 3 kg of marzipan. As a rough guess the same amount of fondant ivory icing was used to cover the 5 cakes. A slosh of vodka was required (not for me) but to sterilise the cake boards. 3 jars of apricot jam were used to coat the cakes and the boards prior to the application of the marzipan. This helps to stick the marzipan to the cake and the cake to the board. There was a lot of tea, cake and rolling going on that Sunday afternoon. Gaps in the cake need to be filled with marzipan, a bit like smoothing putty into cracks in a wall before you paint it. You can even add a sausage of marzipan around the edge of the cake to fit it neatly to the board, if there’s a gap. I learnt so many brillliant tips. Kate introduced me to cake spacers. A truly wonderful invention. They consist of 2 equally thick pieces of wood (rather ruler shaped) which you place on either side of your marzipan or fondant. You then place the rolling pin onto the rulers and roll away from you (preferably on a non stick board). Turning the fondant at regular intervals so it doesn’t stick. This means you get evenly flattened fondant, giving a smooth and much less holey finish than I often achieve. You have to press with all your weight rolling from your hands all the way up to your elbows evenly. If like me your a rolling novice you then get equally spaced bruises up your arms too. Kate’s an absolute pro! Once all 5 cakes have a double coat of icing you carefully wrap a thin ribbon around the bottom of each cake. Double sided sticky tape is useful to stick the ribbon together. This gives a really professional looking image. 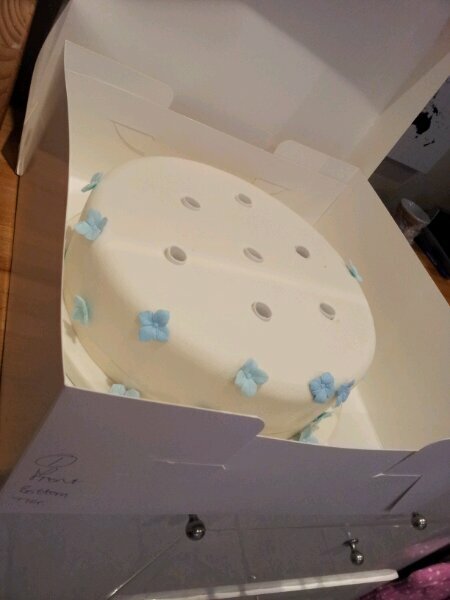 I chose ivory ribbon to blend into the fondant and give a really sleek finish. Icing the 5 cakes took around about 5 hours. Then Kate showed me how to make sure the cakes are level, how to cut the dowels to size, where to insert dowels (plastic rods) to hold the weight of the cake above and how to stack the 5 tiers together. Using a spirit level, a hack saw, a dowling guide template and a marker pen we forced the plastic dowels strategically into all 4 iced cakes, all in the right places so you can’t see any plastic dowels on the finished cake! The top tier didn’t need any dowels to as there was no other cake to support above it. The final result was very impressive! 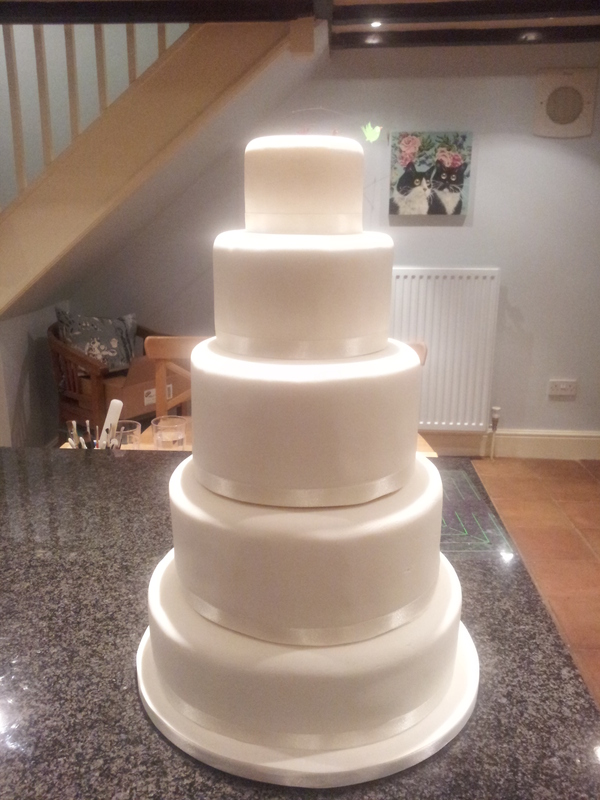 Seeing all 5 tiers stacked up in their smooth white finish was worth all of the effort! Then all we had to do was carefully take it apart again, box the cake and manouvere it all back into my car. 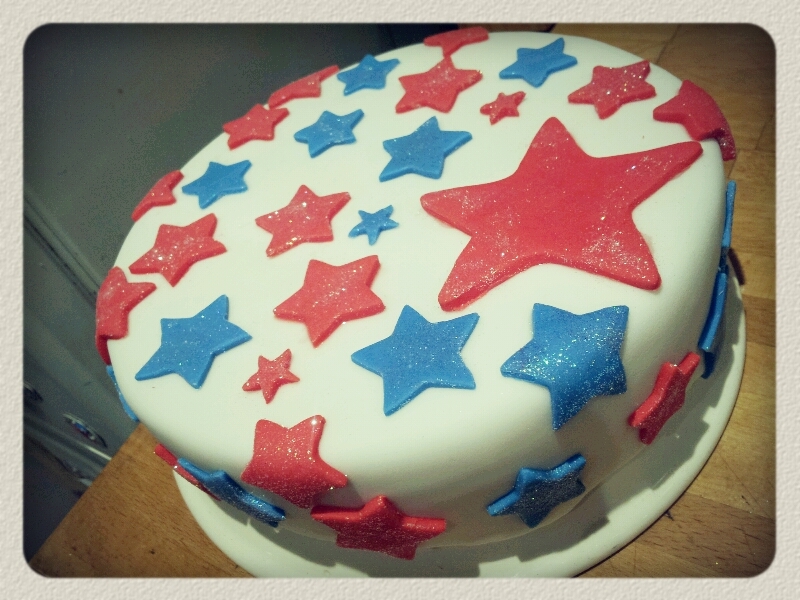 Then the task of finding a suitable storaged place in my tiny flat to rest the cakes whilst the fondant set. 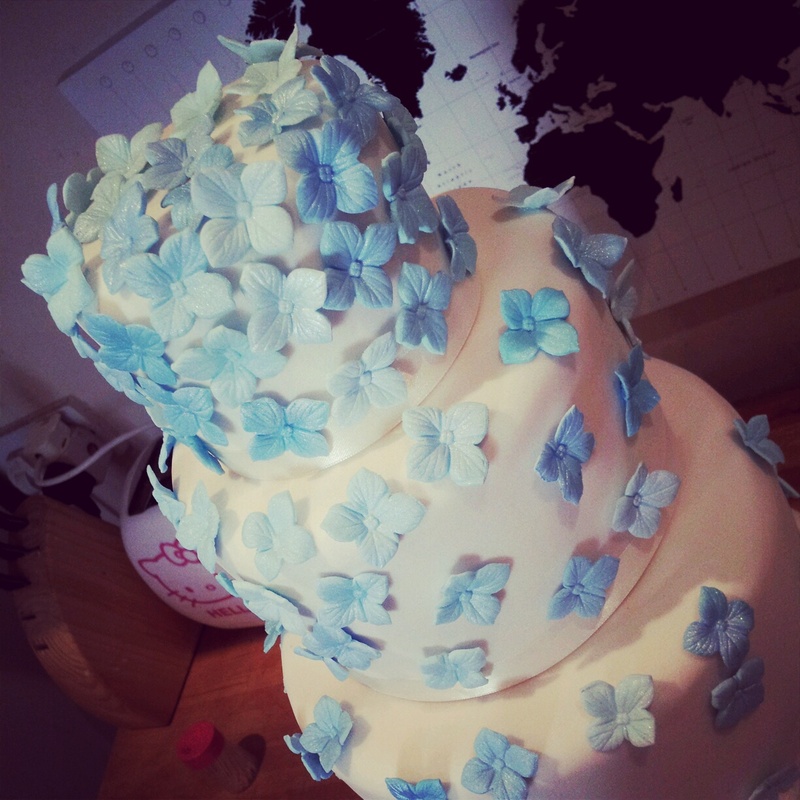 Part 2 – How many sugar flowers does it take to make a wedding cake? 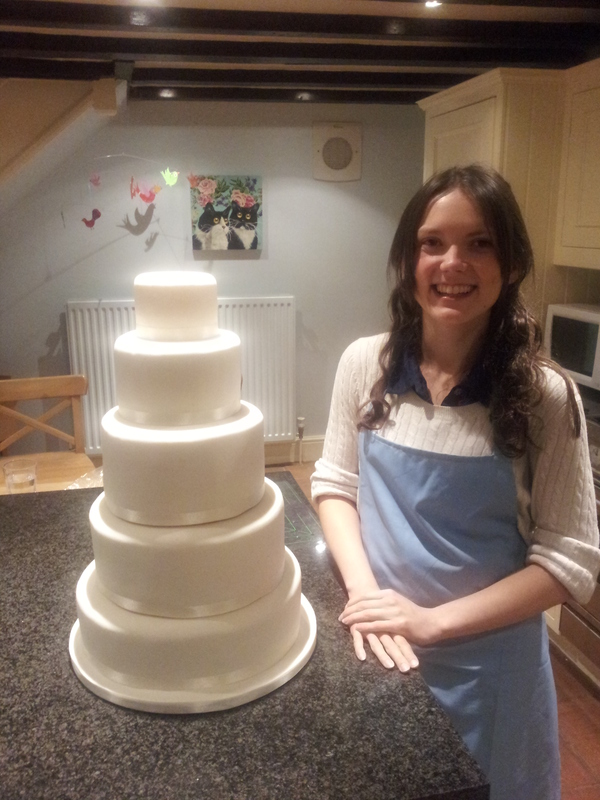 Part 3 – Where to start icing a 5 tier wedding cake? WOW!!!! That is an AMAZING looking cake! Those flowers are just gorgeous and the ribbon IS so sleek and professional looking. Fantastic job!!! Thank you so much Erika. I was pretty pleased with it myself too. Exactly how I had imagined it and hoped it would turn out. Thank goodness for wonderful friends like Kate! What a lot of work, Lauren! But the results are beautiful and it is interesting to know how professionals do things. Thank you Sharyn. Very much appreciated. Kate is a true professional and very talented. I couldn’t have done it without her! Wow, This cake is stunning. I’ve recently started making cakes for friends and family special occasions. I was really struggling to get the professional look though, I came across a site called bakingit through a google search and it has been a huge help. 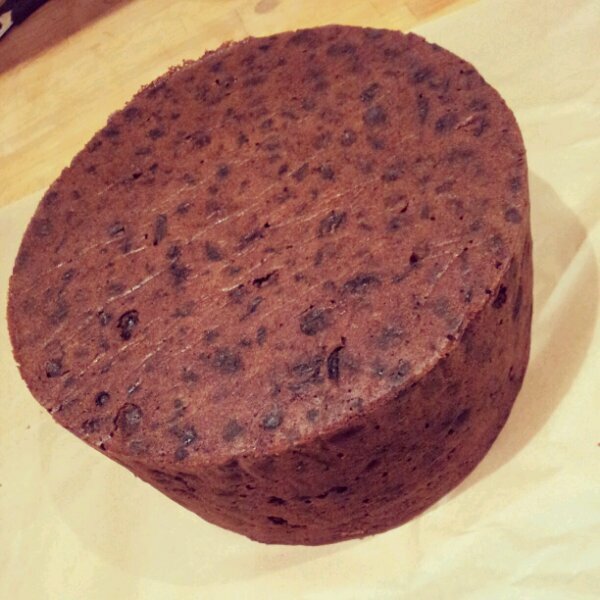 http://www.bakingit.com. Might be worth taking a look. It’s been a great time saver when I’ve been trying to figure out measurments etc. Thanks so much for stopping by Kate! You’re very kind. Oh yes, I’ve used the cake calculators before, very handy! Thanks again! You are very talented. I can’t believe you are so thin ! You’re too kind Anne. Thanks so much for reading! ← How many Hydrangea Sugar Flowers does it take to make a Wedding Cake?